Customer Service will set up delivery to you door. Calcium has been considered a minor nutrient while nitrogen, phosphorous and potassium (NPK) are generally considered the major plant foods elements by the industry. Now it appears that calcium may finally get the recognition it deserves. It may be true that NPK may be used in greater percentage than calcium, but calcium is used more by weight and volume than any other nutrient. Practically speaking, calcium is rarely considered as a nutrient at all! Instead the focus on calcium has been more as a soil buffer to help adjust pH. Calcium is of huge importance to both the plant and the soil in many more ways than simply moving the pH scale. It plays a major role in the physiology of the plant, strengthening its physical structure (cell walls) and helping in protection from disease and insect attack. In the soil, the functions of calcium are numerous, including the reduction of soil compaction and providing a better environment for the proliferation of beneficial microbes. Some research even suggests that calcium plays a role in decreasing weed populations. Imagine the room that you're sitting in is a plant cell of your favorite plant. The walls that surround you are made of calcium pectase. The more calcium that is available to that cell, the stronger those walls become. If calcium is limited, the walls are as weak as jelly. As more calcium becomes available, those walls take on the strength of cinder blocks. Applications of foliar calcium can provide the available calcium needed to strengthen the cell wall and provide the protection nature intended. The stronger the cell wall, the stronger the plant, and the quicker its recovery from any stress it may endure. This works for both leaves and roots. The stronger the root cells are the more aggressively the roots will be moving through the soil. Proper levels of calcium within the plant strengthen the whole plant and allows for efficient use of sunlight, carbon dioxide, water, nitrogen and mineral nutrients. Calcium also plays a major role in the construction of numerous hormones, and enzyme systems that can help protect the plant from insect and disease attack. It has been reported that as a pathogen probes its way into a cell, it injects an enzyme to help break that cell down. There is research that suggests that as this occurs, proper levels of calcium within the cell can actually slow this attack down or stop it all together. The levels of calcium within the cell are going to be dictated, to a large extent, by the management of calcium. Calcium does not move once it is fixed in the cell. If for any reason calcium is in short supply, the newly formed cells will be weak and this will be where fungus will attack. Calcium plays many roles in the soil, but it is the relationship with other nutrients such as magnesium, potassium and sodium that are most significant. To associate calcium only as a buffer of pH in the soil is an injustice. In fact, pH can be driven by numerous minerals, like magnesium, potassium, sodium, or even aluminum. Often calcium is applied to the soil to lower pH. It is important to understand that an imbalance of calcium will lead to tight, hardpan soils, which will restrict the flow of air and water through the soil profile. This will not only negatively affect the plant roots, but perhaps even more important, will slow down the growth of beneficial microorganisms. The soil is an extremely dynamic environment consisting of numerous chemical, biological and physical reactions. It is on all three levels that we must manage the soil. We can change the physical structure of a soil by properly managing the chemistry, thus providing a stronger biological environment. It is this biology that is so important to the success of managing any crop. For the first time in recent memory soil biology has risen to the forefront. If we are going to make any improvement in the health of our plants, proper soil management is imperative and this all starts by managing calcium levels in the soil. Conditions of high humidity, cold and a low transpiration rates may result in calcium deficiency. Salinity buildup might also cause calcium deficiency because it decreases the water uptake by the plant. 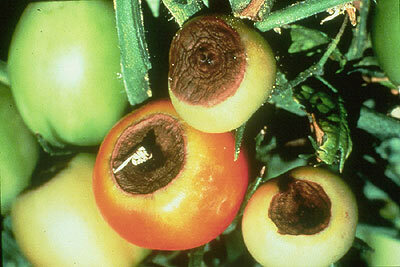 Since calcium mobility in plants is limited, calcium deficiency will appear in younger leaves (die back or burns) and in fruits (blossom end rot, bitter pit), because they have a very low transpiration rate. Therefore, it is necessary to have a constant supply of calcium for continued growth. Dr. William Albrecht, the former head of the soils department at the University of Missouri, established the protocol for balancing the basic minerals on the soil colloid over 50 years ago. Today that research is the backbone behind a growing interest in sustainable soil management. Many of the pre-eminent soil testing laboratories use this methodology today. His research focuses on the soil tests' base saturation readings, where calcium plays the largest role. When imbalances among minerals occur, the soil becomes very tight and air and water can not penetrate. When this occurs, roots are not the only things that suffer, but beneficial bacteria suffer as well. These are looked at as heavy, unmanageable soils, and excessive mechanical aeration appears to be the only help. Unfortunately, this aeration does not address the real problem. 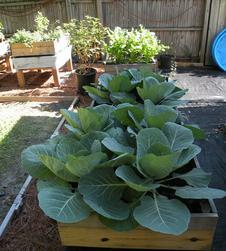 There are a number of good ways to supply calcium to a soil. Several types of lime are often used in certain parts of the country, high calcium lime, and dolomite. Depending on the source, calcium levels can vary from around 30% to 45%, but the real difference is the percentage of magnesium. High calcium lime will have a magnesium reading of about 5% while dolomite will read closer to 20%. This difference in magnesium is significant since it will drive pH up faster than calcium and will quickly create a tight soil. In soils with excessive magnesium levels, dolomite would not be appropriate, and in fact can create worse imbalances in the soil. Gypsum or calcium sulfate is typically around 23% calcium and 18% sulfur. It has this magical reputation of reducing soil compaction, which it will do in many situations, but is often misused. Gypsum is not very effective in a soil that shows less than 60% base saturation calcium. A soil with a significant calcium deficiency often needs large quantities of calcium to saturate the soil colloid. If this is applied as gypsum, too much sulfur is being applied and other problems can occur. 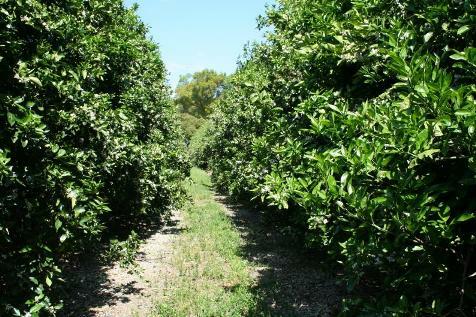 It is important to use the appropriate type of lime on calcium poor soils. Calcium perhaps plays more roles in the overall health of both the plant and the soil than any other nutrient. If well balanced on the soil colloid, it will help to physically open up the soil for better air and water movement. This in turn provides the needed environment for beneficial bacteria creating checks and balances for disease. It helps in root and leaf development and makes phosphorous and micronutrients more readily available to the plant. If well balanced, the proper levels of calcium are going to help reduce the need for nitrogen by making organic matter decomposition more efficient. As Dr. Albrecht explains it in his volumes of research, “if we get the calcium right in the soil most of our work is done”. Humic substances play a vital role in soil fertility and plant nutrition. Plants grown on soils which contain adequate humin, humic acids, and fulvic acids are less subject to stress, are healthier, produce higher yields; and the nutritional quality of harvested foods are superior. The value of humic substances in soil fertility and plant nutrition relates to the many functions these complex organic compounds perform as a part of the life cycle on earth. The life-death cycle involves a recycling of the carbon containing structural components of plants and animals - through the soil and air - and back into the living plants. Man became distracted from the importance of organic compound cycling when it was discovered that soluble acidic based N-P-K "fertilizers" could stimulate plant growth. Large industrial concerns took advantage of the N-P-K discovery to market industrially processed "fertilizers" from mineral deposit. 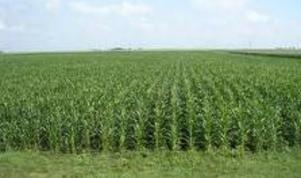 Continued use of these acidic fertilizers in the absence of adequate humic substance has caused many serious problems. The largest problem being the destruction of microorganisms, the life giving plants, fungi, protozoa, and small animals that help make soils productive. Man needs to reconsider his approach to fertilization techniques by giving higher priority to soil humus. The urgency to emphasize the importance of humic substances and their value as fertilizer ingredients has never been more important than it is today. Humic substances are recognized by most soil scientists and agronomists as the most important component of a healthy fertile soil. To understand how humic substances function, it is important to understand what they are. ORGANIC MATTER - Organic matter is defined as a grouping of carbon containing compounds which have originated from living beings and been deposited on or within the earth's structural components. Soil organic matter includes the remains of all plant and animal bodies which have fallen on the earth's surface or been purposely applied by man in the form of organically synthesized pesticides. A fertile soil should contain from 2-8 percent organic matter; most soils contain less than 2. In acid, leached soils, which are often sandy, substantial portions of the organic matter is in the form of plant debris and fulvic acids. In neutral and alkaline soils a large percentage of the organic matter is in the form of humic acids and humin. elements. The elemental analysis of humic substances reveals that they are primarily composed of carbon, oxygen, hydrogen, nitrogen, and sulfur. Humic substances have been shown to contain a wide variety of molecular components. Some typical components are: polysaccharides, fatty acids, polypeptides, lignin, esters, phenols, ethers, carbonyls, lipids, peroxides, various combinations of benzene, acetal, ketal, and lactol, furan and aliphatic compounds. physical properties of humin are only partially understood. Humin present within the soil is the most resistant to decomposition (slow to breakdown) of all the humic substances. Some of the main functions of humin within the soil are to improve the soils water holding capacity, to improve soil structure, to maintain soil stability, to function as a cation exchange system, and to generally improve soil fertility. HUMIC ACIDS - Humic acids comprise a mixture of weak carbon chains and carbon rings which are not soluble in water under acid conditions but are soluble in water under alkaline conditions. Humic acids consist of that fraction of humic substances that are precipitated from aqueous solution when the pH is decreased below 2. Humic acids readily form salts with inorganic trace mineral elements. An analysis of extracts of naturally occurring humic acids will reveal the presence of over 60 different mineral elements present. These trace elements are bound in humic acid molecules in a form that can be readily utilized by various living organisms. As a result humic acids function as important ion-exchange and metal-complexing (chelating) systems. FULVIC ACIDS - fulvic acids are a mixture of weak aliphatic and aromatic organic acids which are soluble in water at all pH conditions (acidic, neutral and alkaline). Their composition and shape is quite variable. The size of fulvic acids are smaller to humic acids with molecular weights which range from approximately 1,000 to 10,000. Fulvic acids have oxygen content twice that of humic acid. Because of the relatively small size of fulvic acids molecules they can readily enter plant roots, stems, and leaves. As they enter these plant parts they carry trace minerals from plant surfaces into plant tissues. Fulvic acids are key ingredients in high quality foliar fertilizers. Foliar spray applications containing fulvic acid mineral chelates, at specific plant growth stages, can be used as a primary production technique for maximizing the plants productive capacity. Once applied to plant foliage fulvic acids transport trace minerals directly to metabolic sites in the plant cells. Fulvic acids are the most effective carbon containing chelating compounds known. They are plant compatible, thus non-toxic, when applied at relatively low concentrations. Foundation is a good source of energy for beneficial soil organisms. Foundation provides the energy and many of the mineral requirements for soil microorganisms and soil animals. Beneficial soil organisms lack the photo synthetic apparatus to capture energy from the sun thus must survive on residual carbon containing substances on or in the soil. Energy stored within the carbon bonds function to provide energy for various metabolic reactions within these organisms. Beneficial soil organisms (algae, yeast, bacteria, fungi, nematodes, mycorrhizae and small animals) perform many beneficial functions which influence soil fertility and plant health. For example the bacteria releases organic acids which aid in the solubility of mineral elements bound in soil. Bacteria also release complex polysaccharides (sugar based compounds) that help create soil crumbs (aggregates). Soil crumbs give soil a desirable structure. Other beneficial soil microorganisms such as Actinomyces release antibiotics into the soil. These antibiotics are taken up by the plant to protect it against pests. 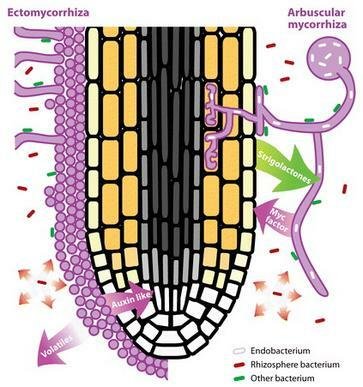 Antibiotics also function to create desirable ecological balances of soil organisms on the root surface (rhizoplane) and in soil near the root (rhizosphere). Fungi also perform many beneficial functions in soils. For example, mycorrhizae aid plant roots in the uptake of water and trace elements. Other fungi decompose crop residues and vegetative matter releasing bound nutrients for other organisms. Many of the organic compounds released by fungi; aid in forming humus and soil crumbs. Beneficial soil animals create tunnel-like channels in the soil. The channels allow the soil to breath, and exchange gases with the atmosphere. Soil animals also aid in the formation of humus, and help balance the concentration of soil microorganisms. A healthy fertile soil must contain sufficient carbon containing compounds to sustain the billions of microscopic life forms required for a fertile and a healthy plant. A living soil is a fertile healthy soil. Foundation will provide the carbon necessary to promote the continual growth of soil microorganisms. Humus functions to improve the soil's water holding capacity. The most important function of humic substances within the soil is their ability to hold water. From a quantitative standpoint water is the most important substance derived by plants from the soil. Humic substances help create a desirable soil structure that facilitates water infiltration and helps hold water within the root zone. Because of their large surface area and internal electrical charges, humic substances function as water sponges. These sponge like substances have the ability to hold seven times their volume in water, a greater water holding capacity than soil clays. Water stored within the top-soil, when needed, provides a carrier medium for nutrients required by soil organisms and plant roots. Available water is without doubt the most important component of a fertile soil. Soils which contain high concentrations of humic substances hold water for crop use during periods of drought. Growers, who apply humate-based fertilizers and integrate production practices which preserve humic substances, can frequently harvest a crop during periods of dry weather. Humic substances are key components of a loose soil structure. Various carbon containing humic substances are key components of soil aggregates. Complex carbohydrates synthesized by bacteria and humic substances function together with clay and silt to form soil aggregate. As the humic substances become intimately associated with the mineral fraction of the soil, colloidal complexes of humus-clay and humus-silt aggregates are formed. These aggregates are formed by electrical processes which increase the cohesive forces that cause very fine soil particles and clay components to attract each other. Once formed these aggregates help create a desirable crumb structure in the top soil, making it more friable. Soils with good crumb structure have improved tilth, and more porous openings. These pores allow for gaseous interchange with the atmosphere, and for greater water infiltration. Degradation or inactivation of toxic substances is mediated by humic substances. Soil humic substances function to either stabilize or assist in the degradation of toxic substances such as: nicotine, aflatoxin, antibiotics, phenols, and most organic pesticides. In the microbial degradation process not all of the carbon contained within these toxins is released as C02. A portion of these toxic molecules, primarily the aromatic ring compounds are stabilized and integrated within the complex polymers of humic substances. Humic substances have electrically charged sites on their surfaces which function to attract and inactivate pesticides and other toxic substances. For this reason the Environmental Protection Agency recommends the use of humates for clean up of toxic waste sites. Many bioremediation companies apply Foundation to waste sites as a part of their clean up program. Growers interested in cleaning up their soils (destroying various toxic pesticides) can accelerate the degradation of poisons (toxins) by applying Foundation, one of the best humate substances on the market. Growers who farm soils low in humus need to include the purchase of Foundation in their fertilizer budget. The cost of Foundation can be more than offset by reduced costs of other fertilizer ingredients. of Foundation to soils helps to neutralize the pH of those soils. Both acidic and alkaline soils are neutralized. Once the soil is neutralized, and then many trace elements formerly bound in the soil and unavailable to plant roots, because of alkaline or acidic conditions, become available to the plant roots. Foundation also liberates carbon dioxide (C02) from calcium carbonates present within the soil. The released C02 may be taken up by the plant or it may form carbonic acids. The carbonic acids act on soil minerals to release plant nutrients. Soil enzymes (complex proteins) are stabilized by Foundation within the soil by covalent bonding. Stabilization renders these enzymes less subject to microbial degradation. Once stabilized and bound to the humic substances harmful enzyme activity is greatly reduced or ceases to function. When some components of humic substance react with harmful soil enzymes they are more tightly bound. For example, phenolic- enzyme complexes are frequently attached to clays, further stabilizing the enzymes. These enzyme stabilization processes help to restrict the activity of potential harmful plant pathogens. As the potential plant pathogen release enzymes designed to break down the plant's defenses, the harmful enzymes become bound to humic substances. As a result the pathogens are unable to invade potential host plants. Soil temperatures and water evaporation rate are stabilized by humic substances. Humic substances function to help stabilize soil temperatures and slow the rate of water evaporation. The insulating properties of humic substances help maintain a more uniform soil temperature, especially during periods of rapid climate changes, such as cold spell or heat waves. Because water is bound within the humic substances and humic substances reduce temperature fluctuations, soil moisture is less likely to be released into the atmosphere. Foundation and influence on plant growth and development. Uptake of major plant nutrients is mediated by humic substances. One stimulative effect of humic substances on plant growth is enhanced uptake of major plant nutrients: nitrogen (N), phosphorus (P), and potassium (K). When adequate humic substances are present within the soil the requirement for N-P-K fertilizer applications is reduced. As the level of humic substances in soils become depleted the misleading demand for higher concentrations of N-P-K results. Many growers have over the past several years reported increasing demands for soluble acid fertilizers in order to maintain crop yields. Such observations indicate something is wrong within the soil. Increased leaching of nitrate fertilizer into ground water is a warning of problems to come. These trends reflect losses in soil humic substances. Growers could reduce their fertilizer application and maintain plant requirements and by retain the fertilizer ingredients within the plants rooting zone by the application of humate based fertilizers. Order Foundation today and start to rebuild your soils.